Vincent brings more than 20 years of experience in higher education to the position. 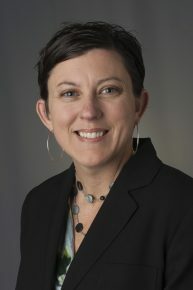 She had served as the Director for Kelley Direct Online Programs with the Kelley School of Business at Indiana University since 2006. Before that, she was an Academic Advisor at the Kelley School, where she was selected to receive a 2015-2016 Schuyler F. Otteson Award for Undergraduate Teaching Excellence—an honor awarded by student nomination and student selection. Vincent earned both her Bachelor of Arts and Masters of Arts degrees from Ball State University. She serves on several professional committees and organizations within Higher Education. She also serves on the Board of Directors for Mid-North Food Pantry, a food pantry serving the largest food desert in central Indiana. At Butler, she will be part of a team of three.